If you are looking for stay-at-home work that also aligns with your Christian faith beliefs, there are many products to sell from home that allow you to incorporate your faith into your job. From selling jewelry to home decor, to scrapbooking options, you can choose a faith-based home business with one of these Christian direct sales companies that fits your interests and needs best! Crowned Free is a direct selling company that was created so women can run their own cause-based fashion business and bring hope to survivors of Human Trafficking. You can create a sustainable income for yourself and employment opportunities for rescued women at the same time. When you sell Crowned Free products as a Social Entrepreneur, you are providing life-changing opportunities of employment to the survivors who make many of the items in our collection. Crowned Free also gives back a portion of all profits to organizations in the US, and around the world, who are working to restore hope in the women who have escaped human trafficking and exploitation. You’re invited to join the Crowned Free Tribe, make an income, and make an impact! Grace & Heart is a direct sales company that markets themselves as “a community of friends founded on passion and purpose.” They sell faith-inspired sterling silver and genuine stone jewelry through their consultants, which are called “Bravehearts.” The jewelry pieces range from $29 to $200, so there is something for everyone and for every occasion. All jewelry is handcrafted in the United States. You can join their selling program for as low as $199 or up to $499 for their largest starter kit. According to their website, they have an attractive commission program which starts at 25-30%. Braveheart's are provided with their own personal website for sales and services. The first month is free but will cost $9.99 each month after. Grace & Heart does give sales incentives that include trips, leadership training conferences, and team retreats. Initial Outfitters (IO) creates personalized products that range from kitchen items, purses, home decor, backpacks, and jewelry. With prices ranging from $12-$89, they have something for everyone. To get started, consultants must pay a $10 monthly fee to stay active. There are three starter-kits available priced at $79, $129 and $199. Consultants receive extensive training when they join that include daily training tips the first month of joining, access to online training modules, and conference calls that are held twice a month. Consultants can earn between 20-35% commission on personal sales, with a potential bonus for all added team members. According to their website, consultants typically earn an average of $150-$200 per party. Consultants have an opportunity to earn free product credits, jewelry, cash or vacations after hitting their sales goals. IO partners with different charities that educate and feed children living in poverty. 100% of the profits from the sale of IO Loves items are donated directly to charities throughout the world. A faith-based home business, Mary & Martha offer a wide range of home and living items. Many of their options include a faith-based saying or theme. The items appear to be highly functional, making them more attractive to potential buyers. However, the higher price tag on the items might scare some customers away. New consultants can choose between two business kits to start, costing $125 and $175. The contents of the starter kits change seasonally, but will always contain business supplies and catalogs to help you get started. 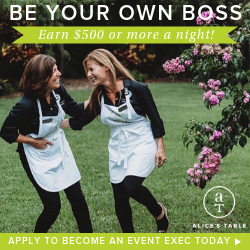 There are no minimum quotas or monthly fees and you earn 25% commission on sales, so this type of opportunity would be perfect for someone who wanted to make a casual side income. Mary & Martha has a career plan listing on their website that allows you to see the different bonus structures as you move up in the consulting ranks. To start, you make 25% of the profit and once you sell $1200 a month, you earn a 5% bonus. The bonus structure makes it more difficult for those at the bottom to make money so. To make a good income, it appears that you would need to advance higher in the ranks at Mary & Martha. Founded to help support ministries, Premier Designs has a strong religious background, and that is clear in their mission and in the jewelry they sell. To work as a consultant, you must purchase one of their start-up kits, priced at $395, $595, or $795. There is a monthly fee for the website, but it is free for the first three to six months, depending on the kit you choose to buy. Premier Designs offers a credit line to their consultants, meaning that the consultants can charge the products to an account and pay for it later when they begin to earn money. While you are not required to have an inventory of jewelry, it can be helpful to sell more at home shows. Consultants earn 50% commission on the retail price of the jewelry, and each consultant makes an average of $200 per show. By creating a new team or “family”, consultants can earn more commissions. The more you earn with Premier Designs, the greater the perks and discounts off jewelry. There are no monthly quotas, allowing you to work as much or as little as you want. Thirty-One Gifts is a Christian-inspired direct sales company that makes it their mission to empower and inspire women across North America. Founded in 2003, this reputable company has sold more than 1 million of their products, which include handbags and accessories, thermals, and home items. Since 2012, Thirty-One Gives has donated $100 million in products and cash to charities that share their faith-based mission. To get started as a consultant, you have to buy a $99 starter kit, which is cheaper than most other direct sales opportunities. This kit is valued at $350 and is full of their new products and business supplies to help you host your parties. New consultants are provided with support from the home office to help make the beginning days easier. Consultants earn 25% commission, with more bonuses and commissions available as they grow their individual team. In order to stay active in the company, you must sell at least $200 in products every three months and pay a monthly subscription, which is $14.95 a month. According to their website, last year 18.3% of their Consultants earned less than $1; 15.9% of Consultants earned between $1 and $99; and 48.3% of consultants earned between $100 and $999. Just Jewelry is a fashion boutique business that sells jewelry and clothing, often with a religious message on it. Their mission is to help women feel fashionable and also to help their communities while doing it. Proceeds from select lines go directly to charity. Just Jewelry’s items range from $12 – $28, making it accessible to more people. To start selling as a Just Jewelry consultant, you must buy a $99 starter kit, valued at $241. With this kit, you receive a sample of their jewelry and a business kit. From the start, new consultants receive 30% discount on their jewelry collection and 10% discount on their boutique. Once you purchase $300 in jewelry and boutique, you start to receive a 50% discount on all jewelry purchases and 30% off boutique items. Another way to receive the bigger percentage immediately is to purchase the $399 starter kit, valued at $749. Included in this is $650 worth of jewelry, business kit, and a website and email account. Once the consultant reaches a certain selling threshold in their first 90 days, they are able to earn attractive bonuses. From the start of their contract, all consultants earn 50% and have the potential to earn more as they add more members to their sales team. New consultants have access to monthly team members, online training resources, and a hotline to help walk them through the beginning process of marketing their business. A minimum of $399 in jewelry sales per a rolling 12-month period is required to stay an active consultant. Close to My Heart specialized in scrapbooks and stamping supplies. Competitively priced, the products are attractive to hobbyists who would like to support a Christian organization. This sales marketing position is available to people in the US, Canada, Australia, and New Zealand. Since 2008 Close to My Heart has supported more than 1,500 children through the charity Operation Smile. The consultant starter kit is only $75, which includes a sample of products and a business kit. Once you join, you have access to a 12-week Online Mentoring Program, an online support from the team. Extra incentives for selling include vacations, free products, and higher commissions and bonuses. All consultants get a free website and you can send out monthly newsletters at no costs. Close to My Heart provides printable flyers for products and specials, and helps you market on social media with pre-made videos and images. At each Close to My Heart Gathering they host, consultants have the potential to earn rewards credits and up to three 50% off items. You must sell $300 per quarter to remain active and you will receive a 22% base commission. Instead of having to wait to get paid by Close to My Heart, consultants just collect the money from the sale and then send the cost of the product to the company. As you sell more, you can receive higher commissions, up to 35% per month. As you can see, you have some great faith-based home business opportunities to choose from. Which will you join? Previous Post: « India Hicks Review: Is This Direct Sales Ambassador Opportunity for You?